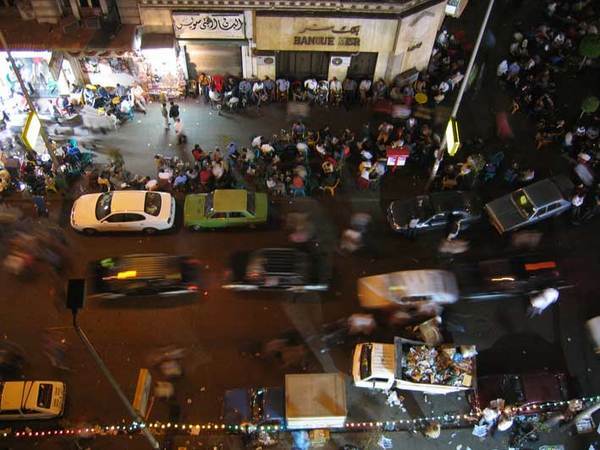 Urban anthropology of public spaces of the Egyptian capital: the Downtown area (wast el-balad) and parks. This anthropology is interested in particular spaces of the metropolis: public spaces, and especially those of the Downtown area and the parks. These two types of spaces, even if they obviously differ, however they share a common fate: they were born from the same time (middle of the 19th century) and knew the same trials and tribulations (a progressive “popularization” of their frequenting). The issue here is to focus primarily on the study of the evolution (observed and said by its actors) of the framework of public space itself, but above all its uses, the norms, and manners of behaving in situation of urban anonymity. Contrary to the anthropological work on the field in Siwa Oasis, it is not mainly a matter of relations with individuals/actors here, but the observation of a crowd and its individuals. The nature in the city and urban landscapes. Prolongation of these researches on the park spaces in Khartoum (Sudan). An anthropology of urban public spaces, and especially Cairo: downtown (Wast el-Balad) and public gardens.